If you think you saw something about this a few days ago, you’re right. This article is a sort of follow-up that has appeared in Nature Climate Change on 1st April [sic] – abstract here. The ‘recent human-induced Walker circulation trends’ in the headline seem to be an artefact of some of the climate models, judging by the report. The authors make a telling point: ‘In contrast to the observed strengthening, the majority of climate computer models simulate a gradual weakening of the Walker Circulation when forced by increasing greenhouse gas concentrations’. So they got it exactly backwards? How unfortunate. 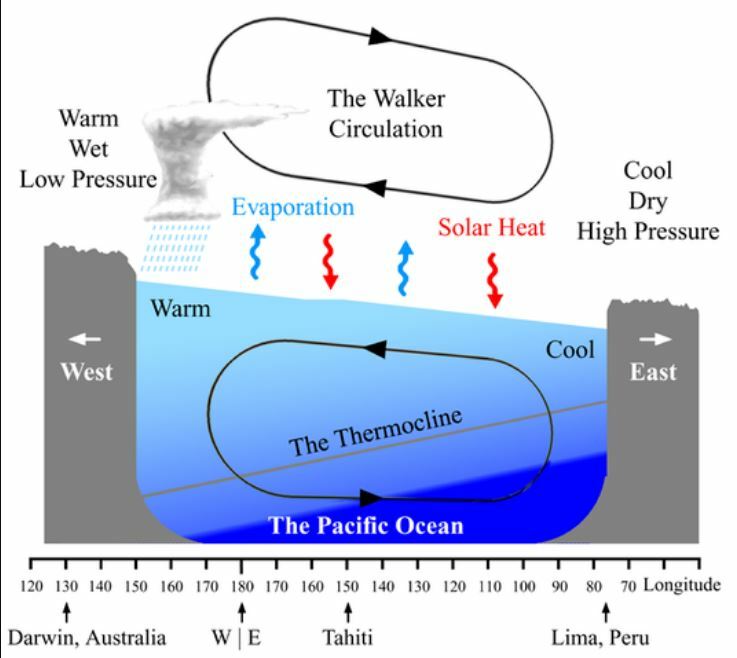 A new study, published this week in the journal Nature Climate Change, shows that the recent intensification of the equatorial Pacific wind system, known as Walker Circulation, is unrelated to human influences and can be explained by natural processes, reports Phys.org. 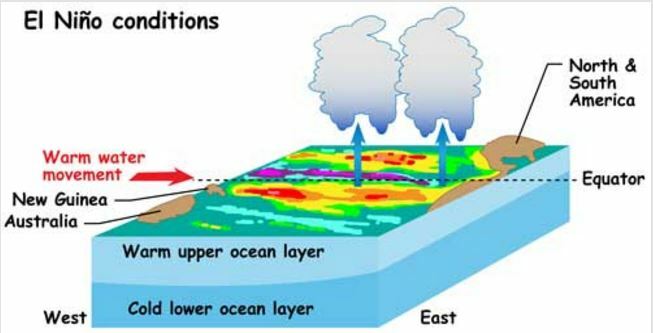 This result ends a longstanding debate on the drivers of an unprecedented atmospheric trend, which contributed to a three-fold acceleration of sea level rise in the western tropical Pacific, as well as to the global warming hiatus. Where does cosmic ray variation fit into the ‘big picture’ of solar influences on the Earth? What are the opponents of Donald Trump’s climate review committee afraid of? Dr Roy Spencer tries to strike a note of sanity amidst the latest bout of doom-laden climate hysteria doing the rounds via cynical manipulation of the minds of school kids. 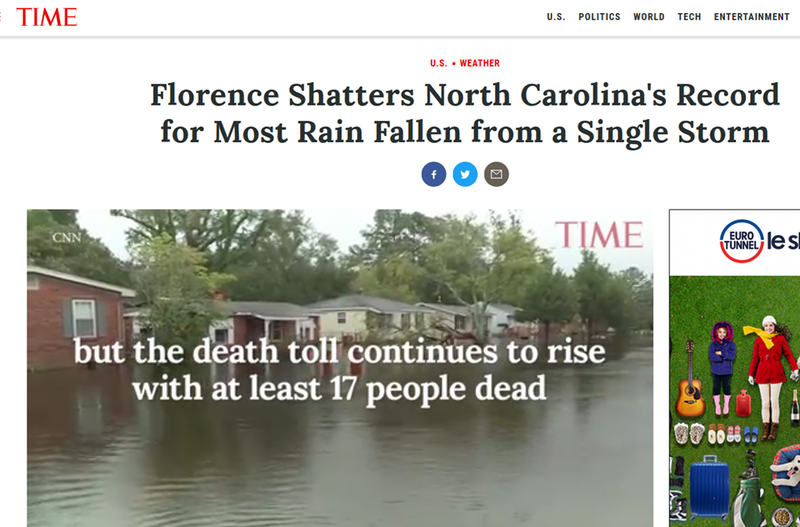 What is accelerating is the bluster of alarmists, who lack credible empirical evidence of ‘human-caused’ as opposed to natural climate variation. On March 5, 58 senior military and national security leaders sent a letter to President Trump denouncing his plan to form a National Security Council panel to take a critical look at the science underpinning climate change claims. Their objections to such a Red Team effort were basically that the “science is settled”, writes Roy Spencer in The Washington Times. But if the science is settled, what are they afraid of? Wouldn’t a review of the science come to the same conclusion as the supposed consensus of climate scientists? As a federal scientist, I could participate in this group. Help Ned by emailing the White House to recommend his inclusion on the panel. The cause(s) of the Little Ice Age is (are) uncertain, but Wikipedia puts forward some ideas with varying degrees of plausibility, including ‘inherent variability in global climate’ (indeed), and ‘decreases in the human population’ (what?). Now some interesting evidence of it has been found in Australia. 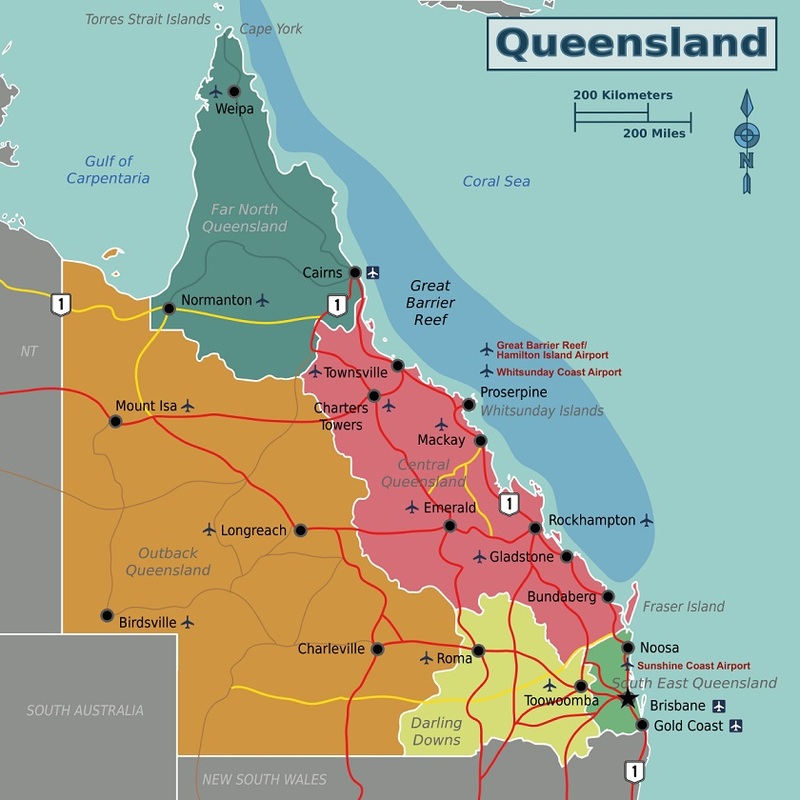 A study by University of Adelaide researchers and Queensland Government scientists has revealed what south-east Queensland’s rainfall was like over the last 7000 years – including several severe droughts worse and longer lasting than the 12-year Millennium Drought, reports Phys.org. The study – published in Scientific Reports—used preserved paper-bark tea tree leaves from North Stradbroke Island’s Swallow Lagoon that have been collecting in the sediment for the past 7700 years. MET-Office update: There is no update. In the meantime, here’s how the 2016-2021 forecast (in blue) is doing compared to the latest data (red trace). Last year, I wrote a short post entitled Met-Office invents infallible climate prediction method, in which I showed how the MET-Office would always update their ‘decadal’ (actually semi-decadal) climate prediction before the data caught up with them. At the time, they were promising to update their prediction in January of this year. But they haven’t, despite describing themselves as “WMO Lead Centre for Annual-to-Decadal Climate Prediction“. So instead, I’ve done a retrospective update of the data on their 2016 to 2021″decadal” prediction. Nikolov & Zeller: Reply to Dr Roy Spencer’s blog article. 1. Dr. Spencer incorrectly referred to our main finding as a “theory” when, in fact, it is a discovery based on vetted NASA data extracted from numerous published studies. This empirical pressure-temperature (P-T) function emerged from reported NASA measurements in the process of Dimensional Analysis, which is an objective technique employed in classical physics to derive/extract physically meaningful relationships from observed data. The necessary ocean-atmosphere coupling needed for El Niño to develop has not been observed so far, despite earlier favourable predictions. ENSO-neutral conditions are present, says NOAA’s Climate Prediction Center [pdf]. Not exactly shock news perhaps, but words like ‘extreme’ and ‘unrealistic’ ought to be embarrassing for those who summoned over 20,000 people from around the world to Poland to spend several days discussing it. London, 20 December: One of Europe’s most eminent climate scientists has documented the main scientific reasons why the recent UN climate summit failed to welcome the IPCC’s report on global warming of 1.5°C. In a paper published today by the Global Warming Policy Foundation Professor Ray Bates of University College Dublin explains the main reasons for the significant controversy about the latest IPCC report within the international community. The IPCC’s Special Report on a Global Warming of 1.5°C (SR1.5) was released by the Intergovernmental Panel on Climate Change (IPCC) in advance of the recent COP24 meeting in Katowice, Poland, but was not adopted by the meeting due to objections by a number of governments. Professor Bates examines some key aspects of the SR1.5 report. He assesses if the IPCC report exhibits a level of scientific rigour commensurate with the scale of its extremely costly and highly disruptive recommendation that carbon emissions be reduced to zero by mid-century. ● It departs from the IPCC’s Fifth Assessment Report in conveying an increased sense of planetary emergency without giving rigorous scientific reasons for doing so. ● It fails to communicate to policymakers a considerable body of important observationally-based research evidence that has accumulated since the Fifth Assessment which reduces the sense of a looming emergency. ● It fails to communicate important information made public by climate modellers since the Fifth Assessment regarding the empirical tuning of models to achieve desired results. The paper concludes that, in view of these deficiencies, the SR1.5 report does not merit being regarded by policymakers as a scientifically rigorous document. “There is much recent observational and scientific evidence that the IPCC report has failed to include and which supports a more considered mitigation strategy than the extreme and unrealistic measures called for in the SR1.5 report,” said Prof Bates. Professor J. Ray Bates is Adjunct Professor of Meteorology in the Meteorology and Climate Centre at University College Dublin. He was formerly Professor of Meteorology at the Niels Bohr Institute, University of Copenhagen, and a Senior Scientist at NASA’s Goddard Space Flight Centre. In his early career he was Head of Research at the Irish Meteorological Service. He obtained a bachelor’s degree in physics at University College Dublin and a PhD in meteorology at MIT. His PhD supervisor at MIT was Jule G. Charney, chairman of the committee that wrote the 1979 ‘Charney Report’ on the effects of carbon dioxide on climate. Professor Bates has been the recipient of a number of awards for his scientific work, including the 2009 Vilhelm Bjerknes Medal of the European Geosciences Union. He is a former President of the Irish Meteorological Society. He has served as an Expert Reviewer of the IPCC’s Fourth and Fifth Assessment Reports. He is a member of the Royal Irish Academy and the Academia Europaea and a Fellow of the American Meteorological Society and the Royal Meteorological Society. Buying electric cars, solar panels and the like isn’t going to make much of a dent in the ’emissions’ California likes to fret about, as long as current forestry practices – or lack of them – are allowed to continue. 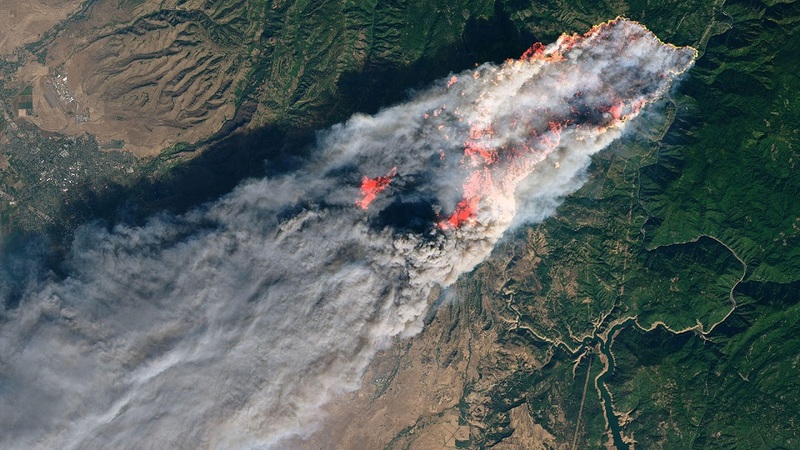 According to data analyzed by the US Geological Survey (USGS), the 2018 wildfire season in California is estimated to have released emissions equivalent to roughly 68 million tons of carbon dioxide, reports Green Car Congress. This number equates to about 15% of all California emissions, and it is on par with the annual emissions produced by generating enough electricity to power the entire state for a year. Allowing for limitations of global sea level data, it seems the endless cries of alarm and scary scenarios are not justifiable at this time. 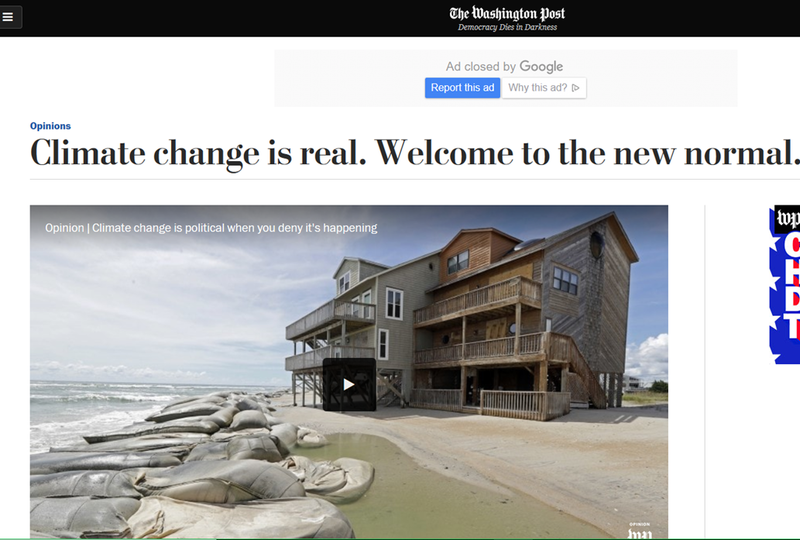 Climatologist Dr. Judith Curry: Mean global sea level has risen at a slow creep for more than 150 years; since 1900, global mean sea level has risen about 7-8 inches. 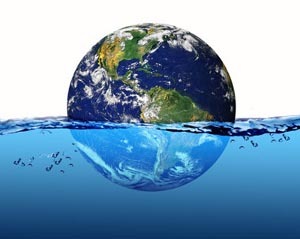 The implications of the highest values of projected sea-level rise under future climate change scenarios are profound, with far-reaching socioeconomic and environmental implications. 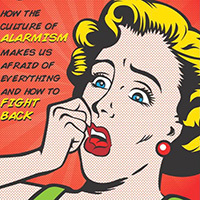 Apparently you’re a ‘climate contrarian’ if you dare to check the claimed results of climate-related studies. 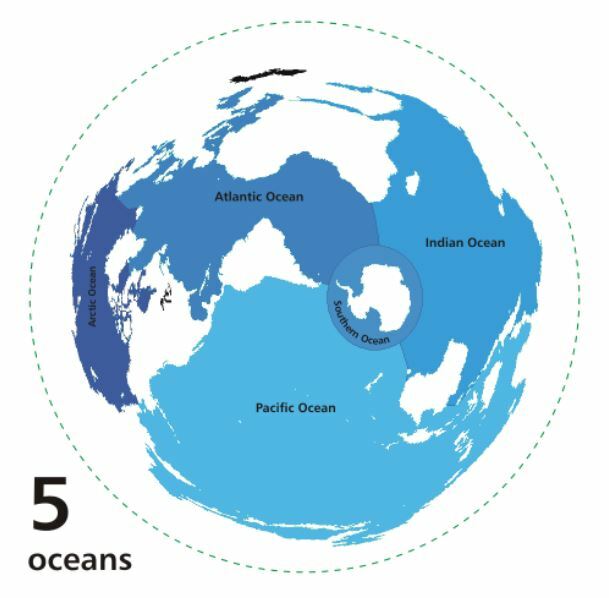 The researchers ‘calculated heat based on the amount of oxygen and carbon dioxide rising off the ocean, filling round glass flasks with air collected at research stations around the globe’. But now they admit this ‘novel method’ didn’t work out the way they first thought, having had the error pointed out to them. Researchers with the University of California, San Diego’s Scripps Institution of Oceanography and Princeton University recently walked back scientific findings published last month that showed oceans have been heating up dramatically faster than previously thought as a result of climate change, reports Phys.org. Something creating a 19-mile wide dent in the Earth’s surface would clearly have been a major strike. If confirmed it would be the most northerly impact crater on Earth. 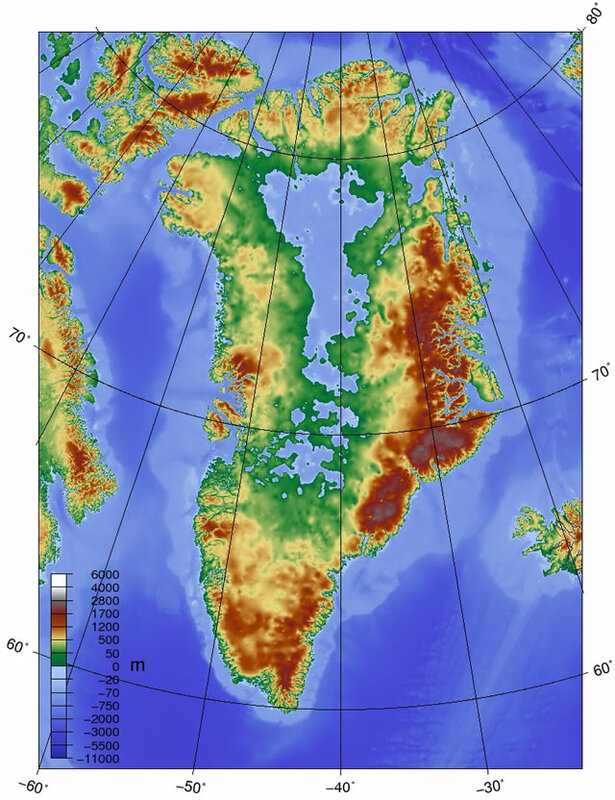 What looks to be a large impact crater has been identified beneath the Greenland ice sheet, reports BBC News. The 31km-wide depression came to light when scientists examined radar images of the island’s bedrock. Investigations suggest the feature was probably dug out by a 1.5km-wide iron asteroid sometime between about 12,000 and three million years ago. No-one is quite sure why this weather station – which the late Tim Channon featured several times here at the Talkshop – so often came top of UK temperature lists, apart from being close to London. But KentLive News offered this believe-it-or-not clue: ‘The soil at Broadness is also said to heat up rather quickly under direct sunlight, which is part of the reason why it records some record breaking temperatures.’ Having only opened in 1995, its short-lived fame – or was it notoriety? – will now have to pass to somewhere else. 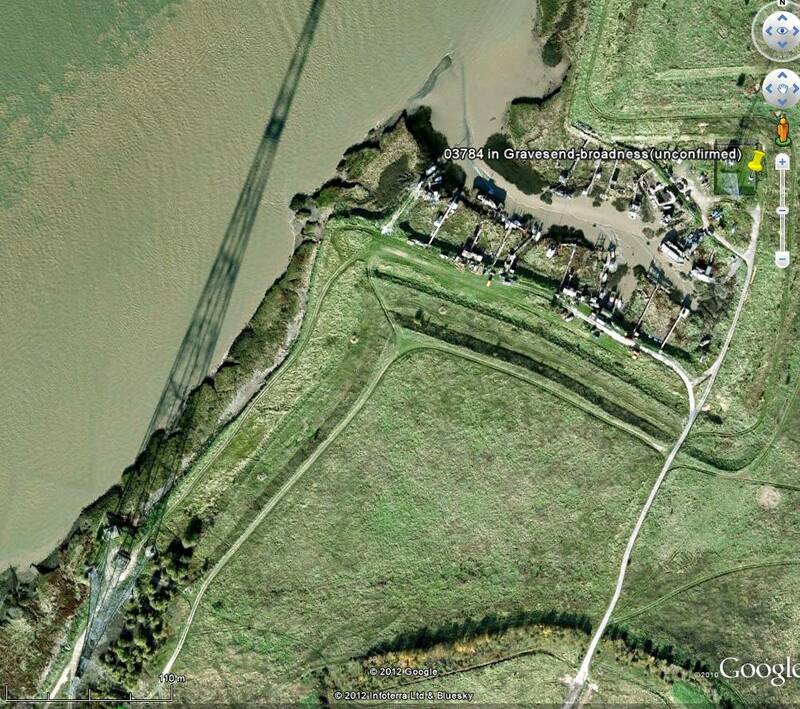 A weather station that has recorded some of the hottest temperatures in the UK is no more, reports KentOnline. It’s been revealed a weather station renowned for recording some of the UK’s hottest temperatures has closed. 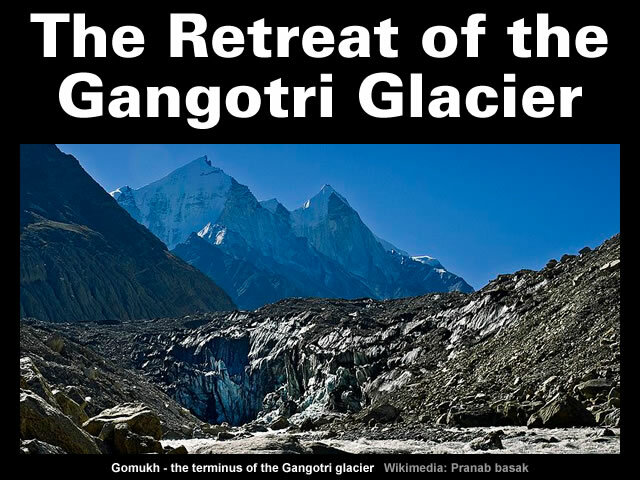 This glacier is one of the largest in the Himalayas and has been retreating since well before the Industrial Revolution, suggesting purely natural causes must be at work. If you’ve come to recognise that the future projections of modern climate science are alarmist pseudo-science then it should come as no surprise that the historical hindcasts conjured up by climate science are also pitiful pseudo-science. The Met-Office has issued a ‘decadal’ climate forecast which runs from 2018 to 2023. Maybe it should be called a ‘semi-decadal forecast’ instead, but we’ll let it pass, as that’s not the most amusing aspect of it by a long chalk. For starters, there’s the baseline period chosen. 1850-1900. They’ve gone for this so they can scare us with the upper end of the blue prediction envelope exceeding the Dangerous! Global! Warming! politically chosen figure of 1.5C above “pre-industrial”. Here’s the global measuring station coverage between 1891 and 1920. There was a lot less in 1850. Yes, adiabatic compression heating is an ongoing process, due to the convection cycle. 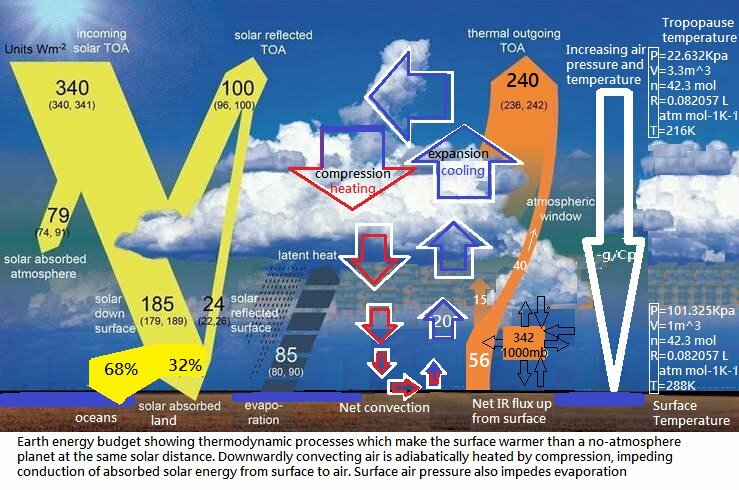 I’ve tried to illustrate it by modifying NASA’s energy budget diagram. Calcs on right show PV/nR=T gives correct values regardless of radiative transfer. This has probably been explained before, but if adiabatic heating is to be an ongoing process then that would suggest the atmosphere is contracting. Since it clearly isn’t, this can’t be the source of the enhanced surface temperature. Ken. Air convecting upwards every day displaces cold high altitude air downwards through the pressure gradient which compresses and heats it. If it didn’t, that air would be colder at the surface, and would allow much more rapid conduction of heat from surface to the air. Agree? Roger, if you want to enhance the temperature on the surface via compression then the atmosphere would need to continually contract. With about the same minimum Arctic sea ice extent this season as 2008 and 2010, persistent claims of ‘rapid decline’ are looking more than threadbare, and polar bears don’t seem too bothered either, judging by the numbers. 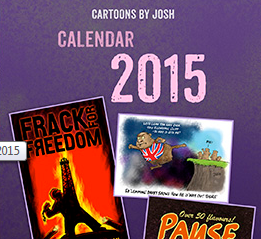 Climate scare merchants may have to look elsewhere to try and generate a headline. We’ve hit the seasonal Arctic sea ice minimum for this year, called this morning by US NSIDC for 19th and 23rd of Septmeber: 4.59 mkm2, the same extent as 2008 and 2010. This is not a “ho-hum” year for polar bears: it means that since 2007, they have triumphed through 10 or 11 years1 with summer ice coverage below 5.0 mkm2 — levels that in 2007were expected to cause catastrophic declines in numbers. 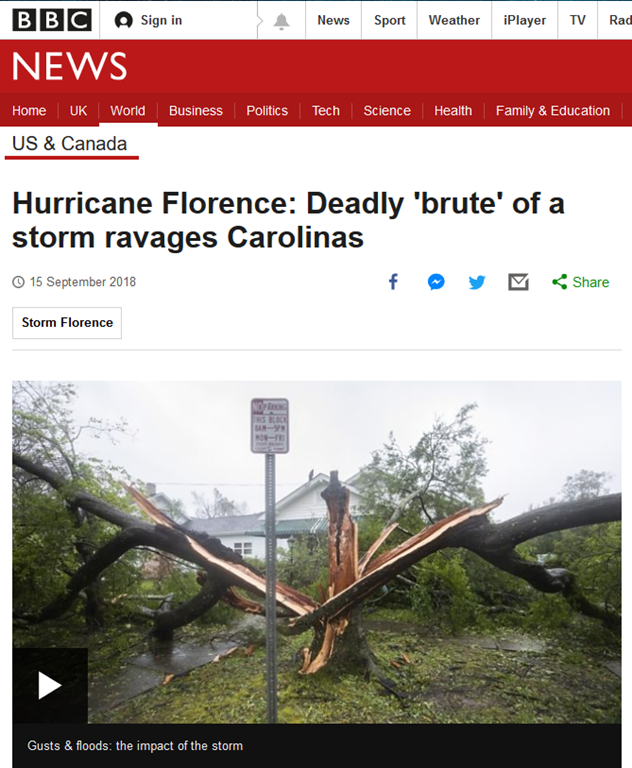 Did the BBC just say in this report: ‘if the recent warming is unusual’? 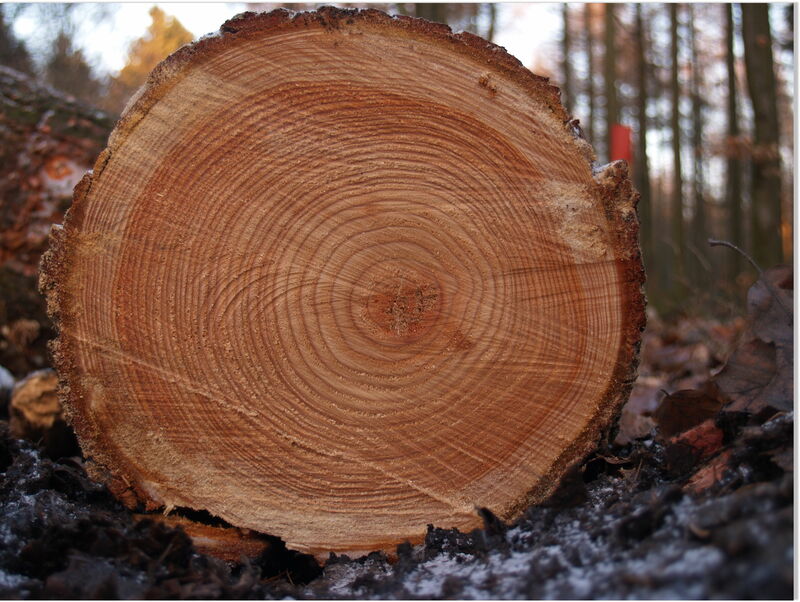 Whether tree ring analysis can improve predictions, as suggested, is an interesting question but open to debate. The “longest, continuous tree ring-based diary” is being created by scientists at the University of Cambridge to help map climate change, reports BBC News. The diary documents climatic conditions going back centuries, using trees from across the world. The blog post title speaks for itself. 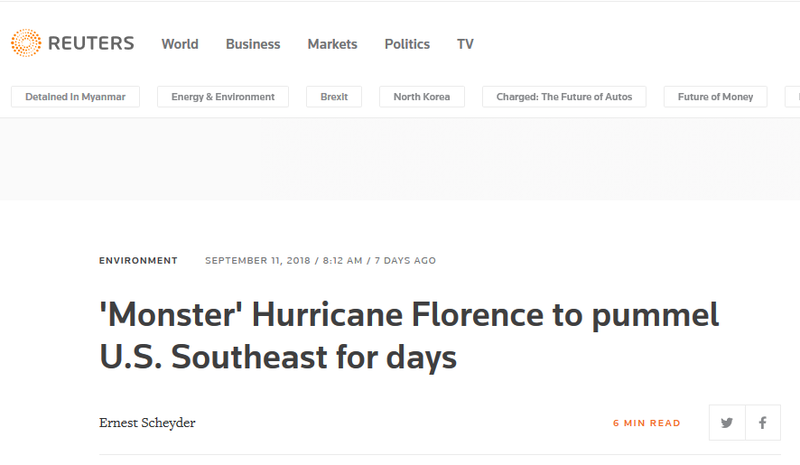 Alarmists can’t accept natural variation, so use false logic to try and claim that any weather characteristic which wasn’t exactly like the last few hurricanes must be somehow man-made. 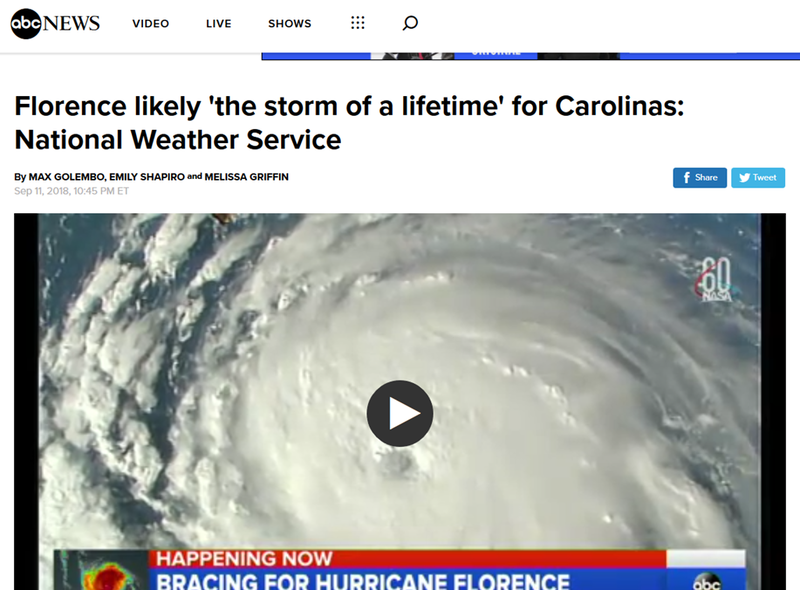 True to form, the media have been whipping up a state of hysteria about Hurricane Florence. Unlike some of their more irresponsible members, I have waited until all of the data is in, instead of rushing to judgment.